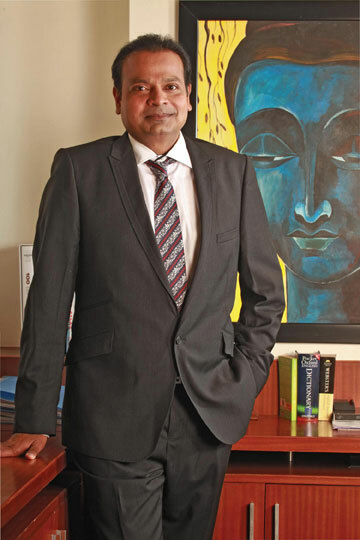 Harish came on the board of Bharathi Cement in 2007. He takes care of the Bharathi Polymers and Bharathi Aggregates (Mines & Rocks), both subsidiaries of Bharathi Group. He has over 20 years of Managerial, Operations & Administrative experience in cement, automobile, infrastructure and power industries. He was the CEO at Someswara Cements & Chemicals Limited. Later he joined M.G. Brothers as the CEO, which is one of the largest automobile dealers for TATA Motors, Bajaj 2 wheelers, Volvo heavy commercial vehicles and HYVA hydraulic tipping systems. He served as an Executive Director in Sandur Power Company Limited - a 37.5MW hydro electric power plant. He has been instrumental in setting up green field automobile dealerships, Hydroelectric power plants and executing other infrastructure projects in A.P. and Karnataka. He was also actively involved in the setting up of Bharathi Cement plant, Ad Star Poly Propylene laminated bag plant (first in India) and Aggregate/Sand manufacturing plant. Harish is an Electronics & Communication Engineering from Manipal Institute of Technology.